SI COMUNICA CHE, CON PROVVEDIMENTO DEL 7/3/2014, LA DIREZIONE GENERALE DEI SISTEMI INFORMATIVI AUTOMATIZZATI HA DECRETATO L'ATTIVAZIONE, A DECORRERE DAL 15 MARZO 2014, DELLA TRASMISSIONE DEI DOCUMENTI INFORMATICI (CD. PROCESSO CIVILE TELEMATICO). ATTI E DOCUMENTI DI PARTE: COMPARSA DI RISPOSTA, COMPARSA DI INTERVENTO, COMPARSA CONCLUSIONALE E MEMORIE DI REPLICA, ELABORATI CTU, MEMORIE AUTORIZZATE DAL GIUDICE, SCAMBIO DI MEMORIE EX ART. 183 CO.6 C.P.C. PROCEDIMENTI: ESECUZIONI IMMOBILIARI, INGIUNZIONI, CONTENZIOSO CIVILE, FALLIMENTI E PREFALLIMENTI, LAVORO E VOLONTARIA GIURISDIZIONE. 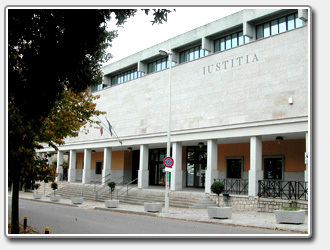 GLI AVVOCATI CHE DESIDERANO AVERE ULTERIORI INFORMAZIONI SUL FUNZIONAMENTO DEL SISTEMA POTRANNO RIVOLGERSI AL CONSIGLIERE DELEGATO PRESSO L'ORDINE DEGLI AVVOCATI DI TEMPIO PAUSANIA. SI RACCOMANDA L'UTILIZZO COSTANTE DEL PORTALE DEI SERVIZI TELEMATICI PER LA CONSULTAZIONE DEGLI EVENTI RELATIVI AI FASCICOLI DI PROPRIA PERTINENZA E PER LA VISIONE DEI DOCUMENTI INFORMATICI TRASMESSI TELEMATICAMENTE.